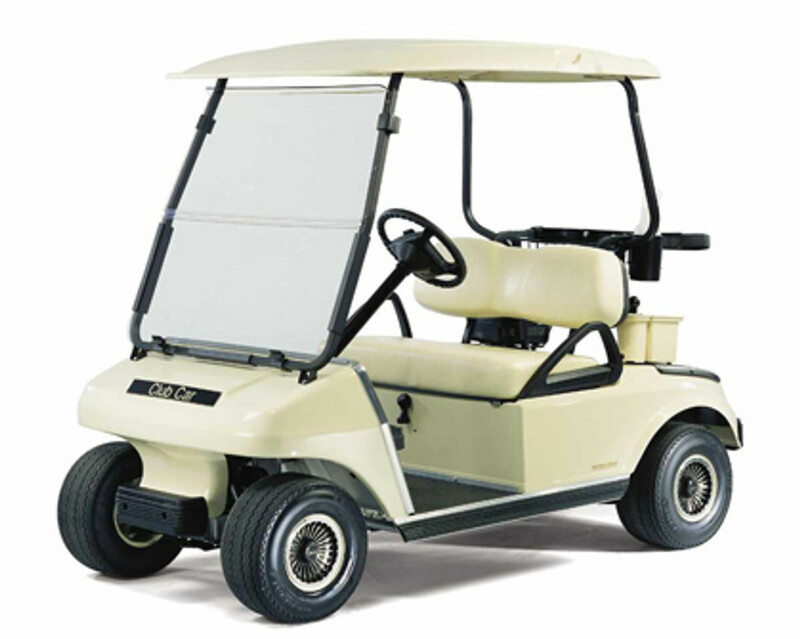 Golf cart rear seat kits are a very popular addition to allow room for the entire family. Most of ours are MADE IN THE USA, unlike many others which are made overseas. The most popular back seats we sell are rear flip flop seat kits that allows not only room for two more passengers but also folds over to make a cargo area to haul coolers, tools, equipment, and anything else. 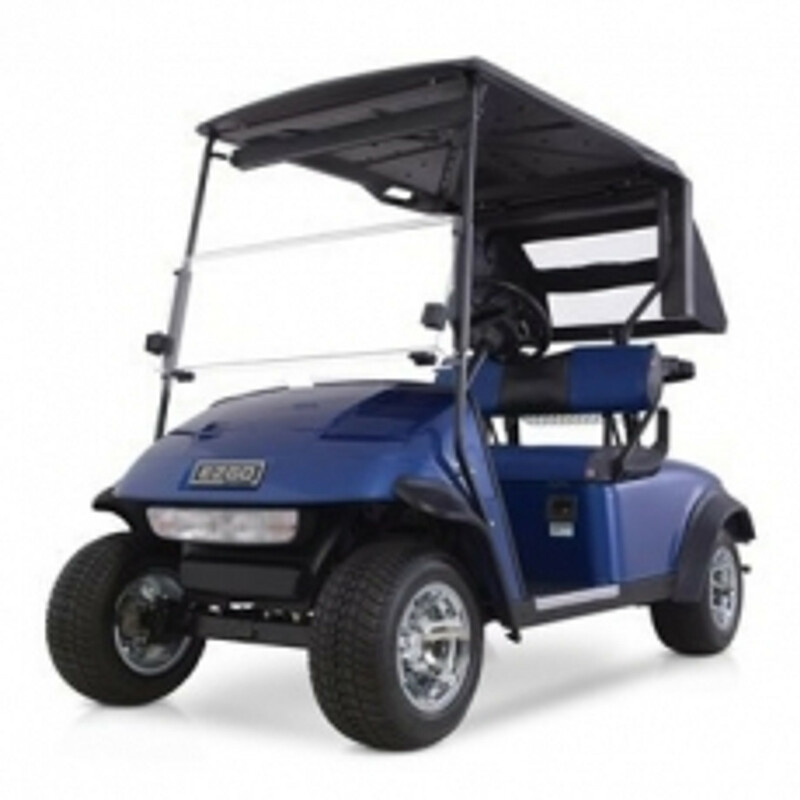 This flat but sturdy surface makes it easy to use your golf cart for work or play. The cargo area also includes a 360 degree bed rail that will secure cargo. 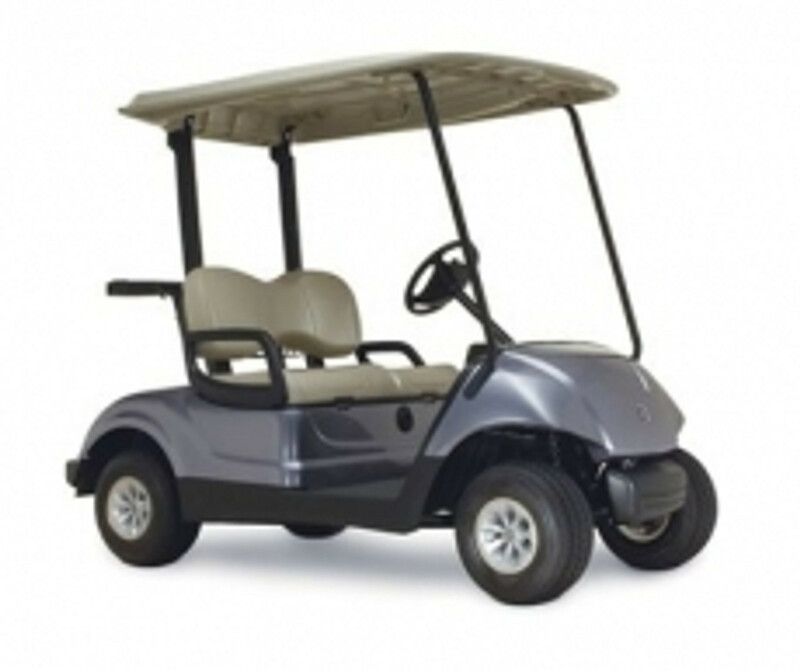 We carry kits for EZGO TXT, EZGO RXV, Club Car DS, Club Car Precedent, Yamaha G14, Yamaha G16, Yamaha G22, and Yamaha Drive golf carts. Grab bars can be added for even more safety and can be purchased in combination with a seat for more savings. 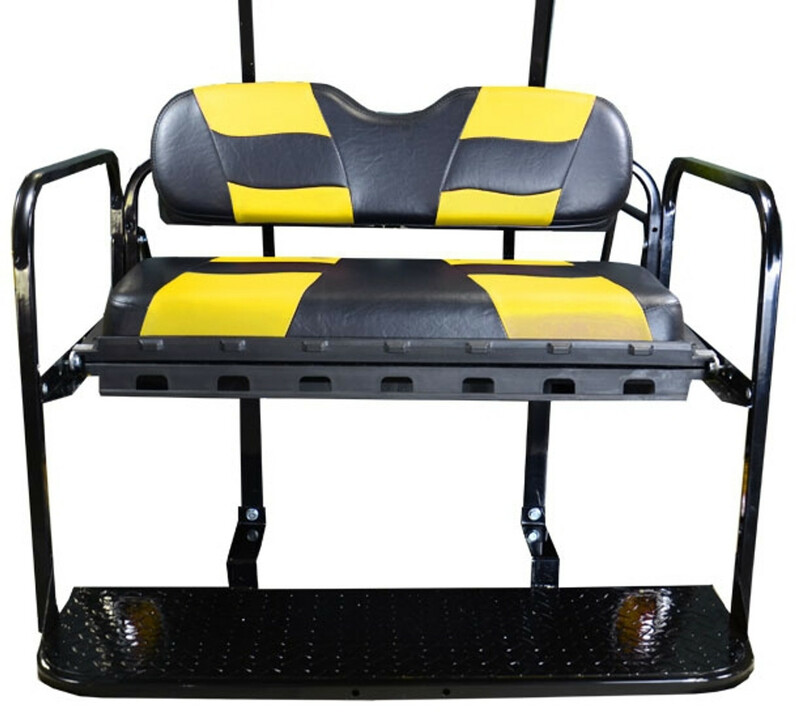 We recommend installing heavy duty rear springs on your golf cart when adding a back seat. They are available in black, tan, buff, white, ivory, stone, grey, camouflage, and custom two tone patterns. We sell thousands of kits and have very happy customers. Madjax has came out with the most popular kit on the market, the Genesis 150. It is rumored that they have a new creation to this popular kit, the Genesis 250 and 300. We are a nationally recognized dealer of theirs and pride ourselves with unmatched service and prices.